Sleeping in a room with too much light has been linked to an increased risk of piling on the pounds, a study shows. A team at the Institute of Cancer Research in London found women had larger waistlines if their bedroom was "light enough to see across" at night. However, they caution there is not enough evidence to advise people to buy thicker curtains or turn off lights. The study of 113,000 women was published in the American Journal of Epidemiology. Their answers were compared to several measures of obesity. Body Mass Index, waist-to-hip ratio and waist circumference were all higher in women with lighter rooms. Prof Anthony Swerdlow, from the Institute of Cancer Research, told the BBC: "In this very large group of people there is an association between reported light exposure at night and overweight and obesity. "But there is not sufficient evidence to know if making your room darker would make any difference to your weight. "There might be other explanations for the association, but the findings are intriguing enough to warrant further scientific investigation." One possible explanation is that the light is disrupting the body clock, which stems from our evolutionary past when we were active when it was light in the day and resting when it was dark at night. Light alters mood, physical strength and even the way we process food in a 24-hour cycle. Artificial light is known to disrupt the body clock by delaying the production of the sleep hormone melatonin. Prof Derk-Jan Dijk, from the Surrey Sleep Centre, said there would be no harm in trying to make bedrooms darker. He told the BBC: "People in general are not aware of the light present in their bedroom, I think people should assess their bedroom and see how easy it would be to make it darker." Street lights, some alarm clocks and standby lights on electrical equipment such as televisions could light a room, he said. "Overall this study points to the importance of darkness," he concluded. The study was funded by Breakthrough Breast Cancer and the findings emerged from a long-term study to understand the risk factors for breast cancer. Obesity is known to increase the odds of the disease. Dr Matthew Lam, from the charity, commented: "It's too early to suggest that sleeping in the dark will help prevent obesity, a known risk factor for breast cancer, but the association is certainly interesting. "Whilst we are learning more and more each day about the environmental, genetic and lifestyle factors that affect breast cancer risk, it is not yet possible to predict who will get breast cancer, and for women who have been diagnosed with the disease, we can't yet say what caused it." 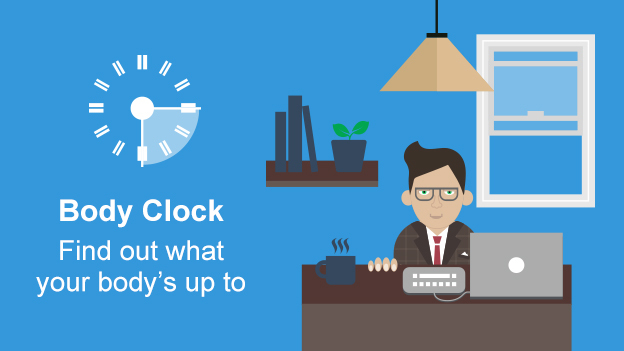 Body Clock: What makes you tick?